Absorptive input pulse modulators offer frequency ranges from 100 MHz to 24 GHz in up to 9:1 bandwidths and are available with optimized narrowband performance. 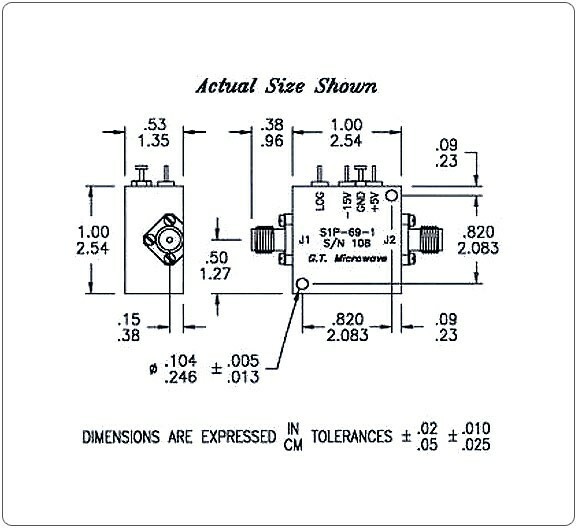 High speed switching includes 15 ƞSec RF and 15 ƞSec delay for a maximum of 30 ƞSec. 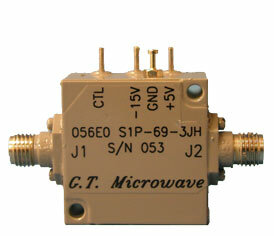 These can be offered with unit-to-unit phase and amplitude matching and configurations up to SP4T. TTL Compatible Logic: Logic ‘0’ = Insertion Loss and Logic ‘1’ = Isolation. For additional logic options, please consult the factory. High Speed Switching: Pulse Modulators are measured from 50% TTL to 10% / 90% RF from any set value to any set value. Power Consumption: Pulse Modulators that operate from 2.0 to 18.0 GHz require +5/-12 to -15 VDC @ ±50 mA. And Pulse Modulators that operate from 0.5 to 2.0 GHz require ±5 VCC @ ±25 mA.